In a now-deleted tweet, she wrote: "Mahesh Bhatt is the man who has given her a break...She goes on to attack his wife and daughter. Daughter over and over again. What is left to be said then about abusing and hatred I wonder? Apart from the character of course. Agenda. What's hers?" "Dear Soniji, Mahesh Bhatt never gave her a break, Anurag Basu did. Mahesh Bhattji works as a creative director in his brother's production house. Please note that he doesn't own that production house, after 'Woh Lamhe' when Kangana refused to do a film written by him called 'Dhokha' where he wanted her to play a suicide bomber, he got so upset that he not only shouted at her in his office but later when she went for 'Woh Lamhe' preview to a theatre, he threw a chappal on her. "He didn't allow her to see her own film. She cried the whole night, and she was just 19 years old." 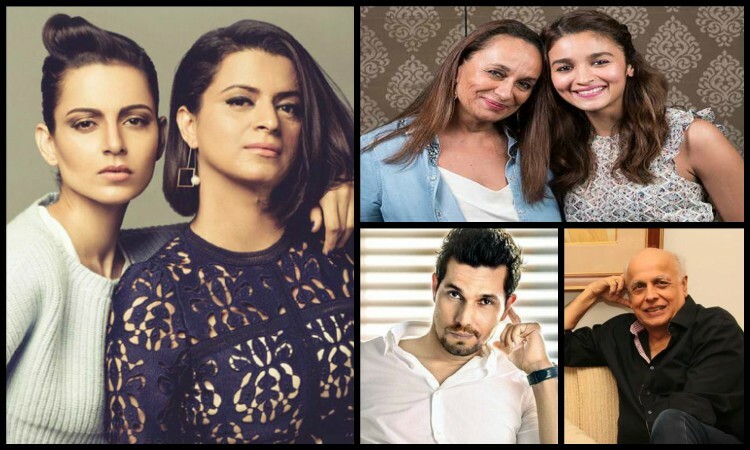 Alia's "Highway" co-star Randeep Hooda also stepped in, saying: "Dearest Alia, I'm so glad you are not letting the opinions of very occasional actors and chronic victims affect you and your work... Kudos to you for your continued efforts to outdo yourself."